*Based on availability, time of year, and location prices may vary. Airfare calculated from SLC. Always dreamed of taking your family to the Happiest Place on Earth? 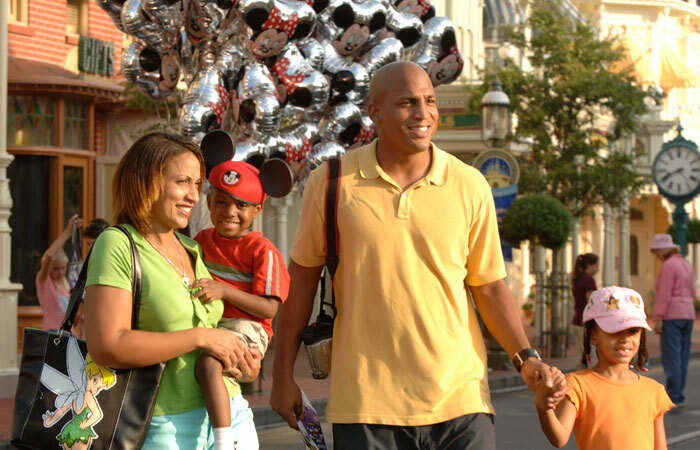 Choose from several Disney Vacation packages to fit you. With tons of options for lodging, park passes, and dining availability at our fingertips let us plan the details while you focus on the fun (and all the picture taking!). Below are some of the exciting and popular activities that may be included in your Disney vacation. 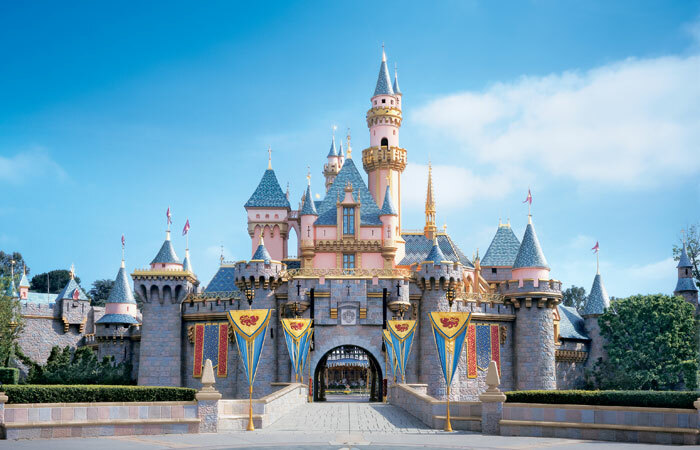 Experience the magic of two Disney Parks-where you can bring to life your favorite Disney characters and create an unforgettable vacation package all your own. 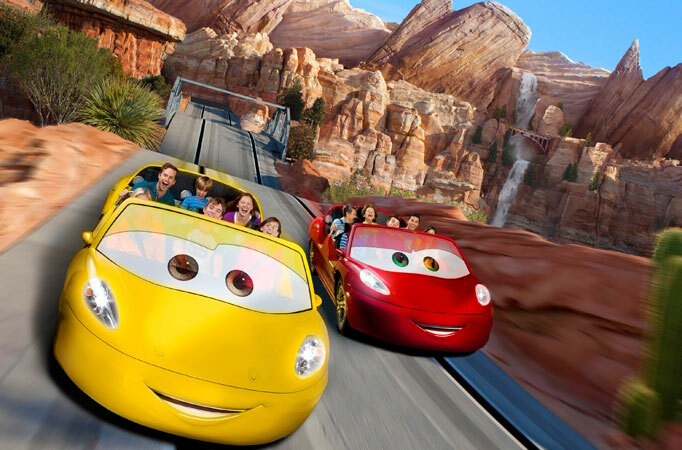 Disney California Adventure Park - Disney and Pixar stories and characters come to life in 8 exciting lands through amazing attractions, entertainment and dining! The 2 most recent additions—Buena Vista Street and the jaw dropping Cars Land— are just two of many including, Paradise Pier, Pacific Wharf, "a bug's land" and Hollywood Land. Disneyland Park - Sail with pirates, explore exotic jungles, meet fairy-tale princesses, dive under the ocean and fly through the stars —all in the same day! The original theme park features 8 uniquely themed lands including Mickey's Toontown, Critter Country, Main Street, U.S.A., Tomorrowland, and more! There is something for everyone at Disney World, Florida where you will find endless adventures, quiet relaxation, and unforgettable memories all in one location. Our Disney vacation packages are customizable, but below are some of our favorite Disney World attractions. Hollywood Studios - Take center stage as you step into the worlds of top blockbuster movies and TV shows. Epcot - World Showcase offers culture and cuisine from 11 different countries, while Future World features the latest and greatest technological innovations. Magic Kingdom Park - Watch fireworks over Cinderella Castle, where fantasy becomes reality in 6 enchanting lands. Animal Kingdom Theme Park - Home to more than 1,700 animals across 250 species, Animal Kingdom is the largest animal theme park in the world. Blizzard Beach Water Park - Cool off with frosty fun for the whole family where you can fly down Mount Gushmore, one of the tallest and fastest water slides in the world. Typhoon Lagoon Water Park - Fun in the sun has never been better where you can snorkel with sharks and stingrays or sunbathe on the beach.